The Provence region of France is one of the most beautiful and culturally intriguing places in the world. It’s also incredibly diverse. From the rich red canyons of the ochre mines to the aqua blue water running through the Verdon Gorge, it’s spectacular whichever way you look at it. But one of the biggest drawcards of Provence is its villages. By visiting these villages in Provence you can very much experience the authentic Provençal beauty that has inspired artists for decades. And these colourful hilltop havens continue to charm visitors today with their unabashed beauty and largely unchanged way of life. Many of these bucolic villages are located in the Luberon valley. The Luberon is a magical place, full of natural and man-made beauty. You could spend days exploring its nooks and crannies and still feel as though you haven’t covered it all. The Luberon is our backyard, and our weekend playground – the place we go to walk the dogs, visit the markets, or to simply stroll through the cobbled streets while revelling in the history that surrounds us. 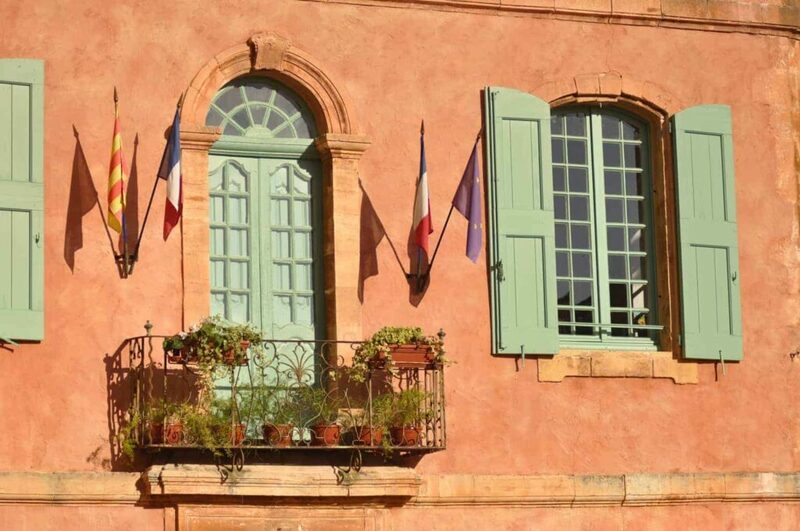 There’s no mistaking why Roussillon deserves a spot on this list. 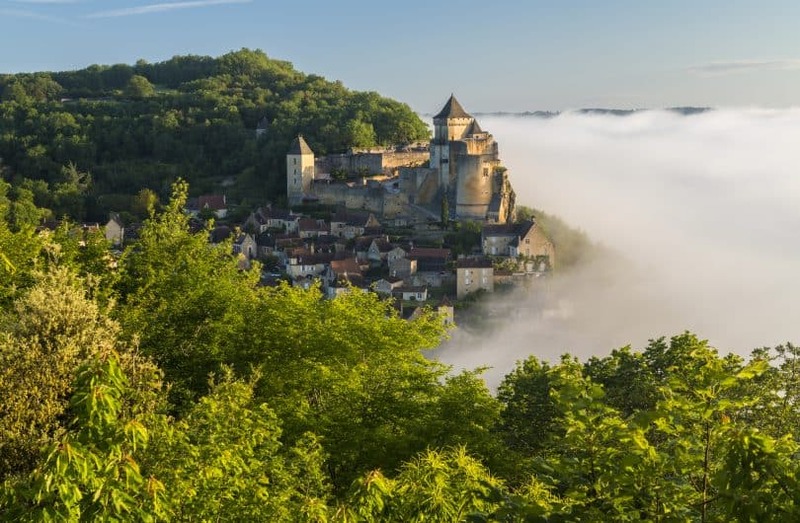 Officially named one of France’s most beautiful villages, it lives up to its title with grace. Roussillon’s unique colour scheme of rusty red and muted orange can be attributed to the rich ochre deposits found in the land surrounding the village. Once an important economic source for the region, today the ochre mines bring wealth to the area in another way – with tourism! The former ochre mine has been mapped out for an easy walk and it’s an absolutely breathtaking experience walking through the deep canyons and marvelling at the shapes etched into the earth – first by industry, and then by nature. 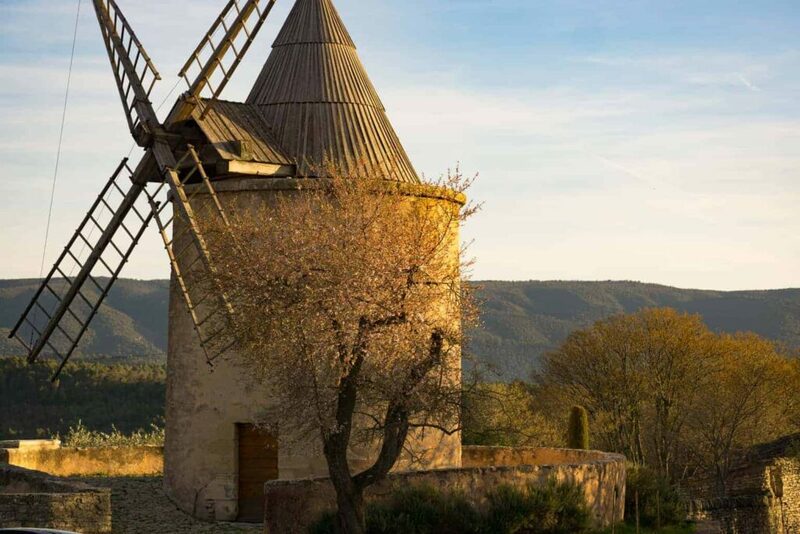 Located at the southern end of the Plateau de Vaucluse, Roussillon affords incredible views over the Luberon valley. Be sure to walk up through the Belfry to the fortified area of the village and pause at the orientation table to get your bearings. The buildings in Roussillon are coloured with ochre pigment. Villa des Roses – For an amazing view of the ochre cliffs. Goult is a bit of an underdog compared to the other, somewhat more famous, Provence villages. But it’s one of the must-see villages in Provence! It’s authentic in its beauty, and due to being a little lesser-known, it doesn’t play into the tourist card like many other villages. Here you can wander into the old village – an unspoilt and tranquil place – past pastel-coloured houses and leafy squares. Be sure to follow the signs to take in all the key sights, they’ll eventually lead you to the reconstituted Jerusalem Mill, where you’ll find an amazing view of the valley. From the mill, follow the blue markers down a country lane to the Conservatoire des Terrasses de Cultures de Goult. It’s a fabulous way to experience the old farming techniques of the region, which largely revolved around planting crops in terraces. As you wander through the lovingly conserved 5ha garden you’ll feel as though you’ve been transported back in time. The Fete du Miel (Honey Festival) takes place every year in July – check the local website for dates. Villa Lumières – For a friendly welcome and comfortable stay. 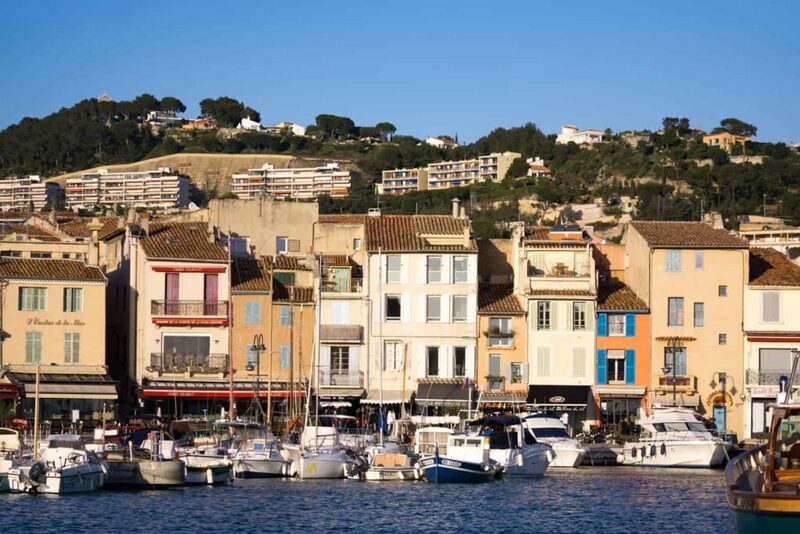 Often touted as one of the best villages to stay in Provence, I can certainly understand why visitors flock to Cassis. 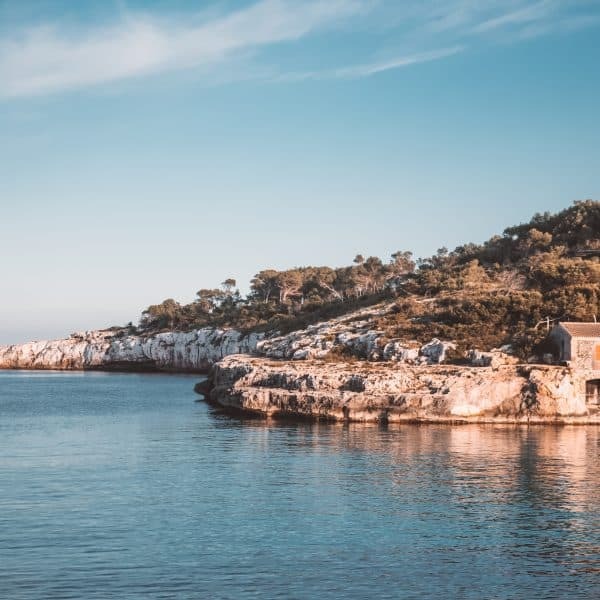 The only seaside village on this list, Cassis is certainly more commercial than some other villages, but the centre still manages to retain its charming village feel. Flanked by Cap Canaille on one side, and the mighty Calanques on the other, the tricky geographical location prevents it from becoming too overdeveloped. Instead, the surrounding hills are home to rows of ancient vines producing the famed wines of the region. You could easily spend an entire day (or more) discovering Cassis. The beautiful beaches are perfect for a morning swim, the cafe-lined quai is an ideal spot for people watching, and the old town lanes are bursting with boutiques selling fine linens and local artisan’s creations. For the best views of the village, pull your car over (carefully!) on the side of the road as you approach from above. And once in the village, take a stroll behind the tourist office, along the pier, to see the pastel coloured buildings from another angle. Gordes played the role of a dreamy Provence village in the 2006 movie A Good Year. And it was a natural fit! It has all the old-world charm you’d expect of Provence, with the cobbled lanes and narrow passageways remaining much as they have through the ages. The village’s hillside location, coupled with an advantageous viewpoint means it’s very likely the most photographed village in Provence. Officially named one of the Most Beautiful Villages of France, it’s an iconic village that shouldn’t be missed on your Provence itinerary. While you’re visiting Gordes, a visit to the 10th-century château that sits atop the village is a must-do. 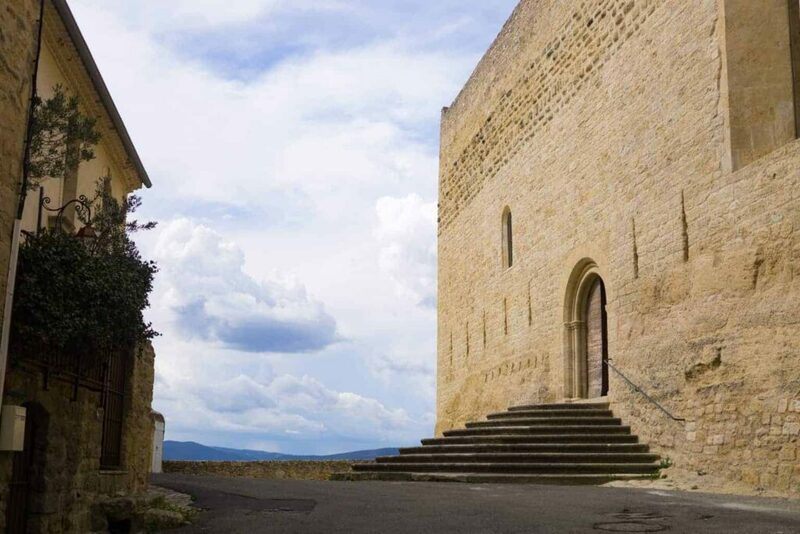 Inside you’ll find the Pol Mara museum that houses a selection of works by the former resident of Gordes. And nearby you’ll find two of the region’s most spectacular attractions – the Sénanque Abbey that is surrounded by blooming fields of lavender in the summer months. And le village des bories, a hamlet of stone dwellings not dissimilar to the better-known trulli of Puglia. La Bastide de Gordes – It doesn’t get better than this! The village of Lacoste still looks much the same as it would have done when the scandalous Marquis de Sade lived here in the 18th century. The Marquis’ château is now owned by designer Pierre Cardin who also caused few ripples of unrest when he purchased the castle, along with 22 other properties in the village. But there’s no sign of any tension as you stroll around the enchanting streets of Lacoste, it really is one of the most beautiful villages in Provence. Château de Lacoste (not to be confused with the amazing vineyard Château La Coste), dominates the village. It was in ruins when Cardin purchased it, and some castle walls have been left in disrepair, creating a jagged contrast against the sky. 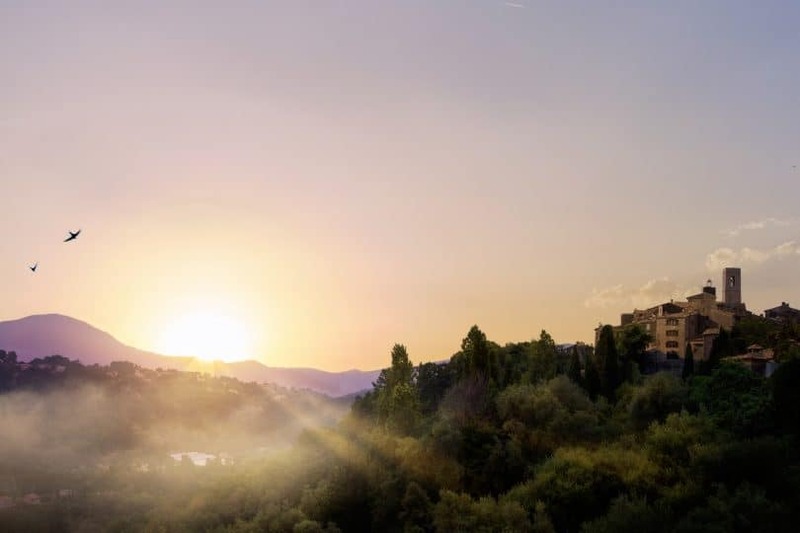 The renovated part is open to the public in July & August, and every July the castle hosts the Festival de Lacoste – a festival dedicated to dance, theatre and opera that typically showcases young and upcoming talent. 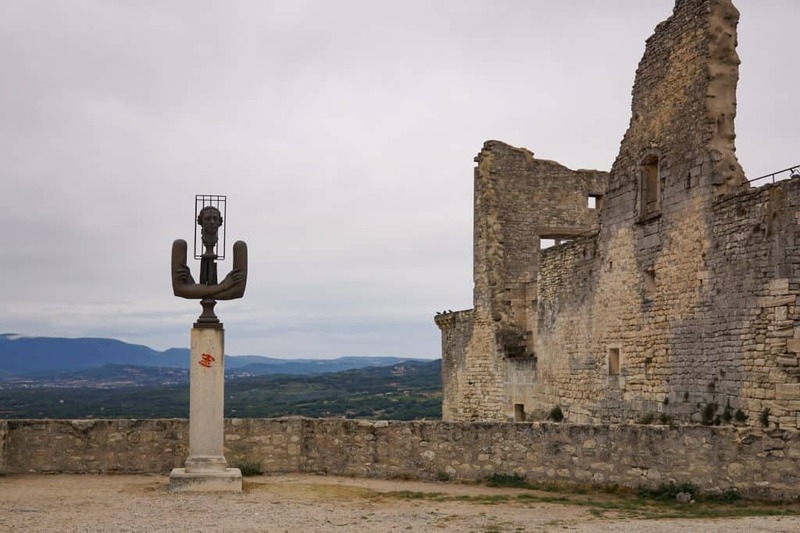 During the rest of the year, you can visit the château by reservation only, but a popular option is to walk around the back of the château, where several contemporary sculptures frame the views over the Luberon. Cante Grillet – Budget-friendly option with a fantastic view of the castle. 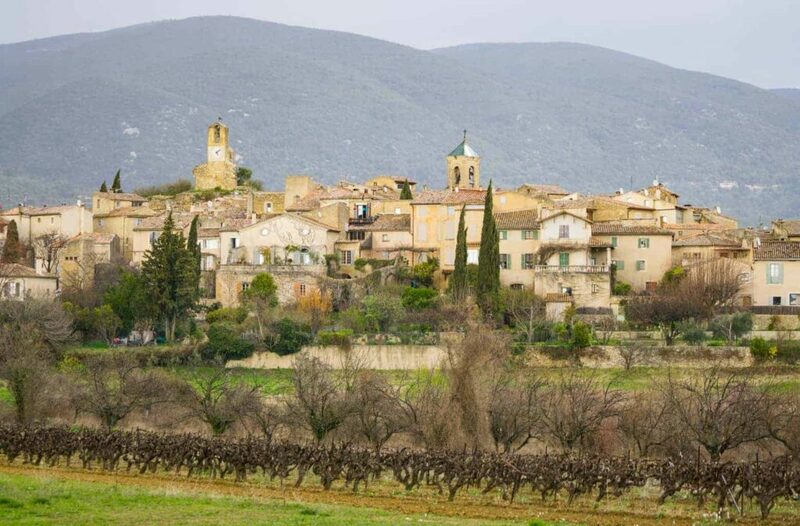 The enchanting village of Lourmarin also belongs to the exclusive Most Beautiful Villages of France club. 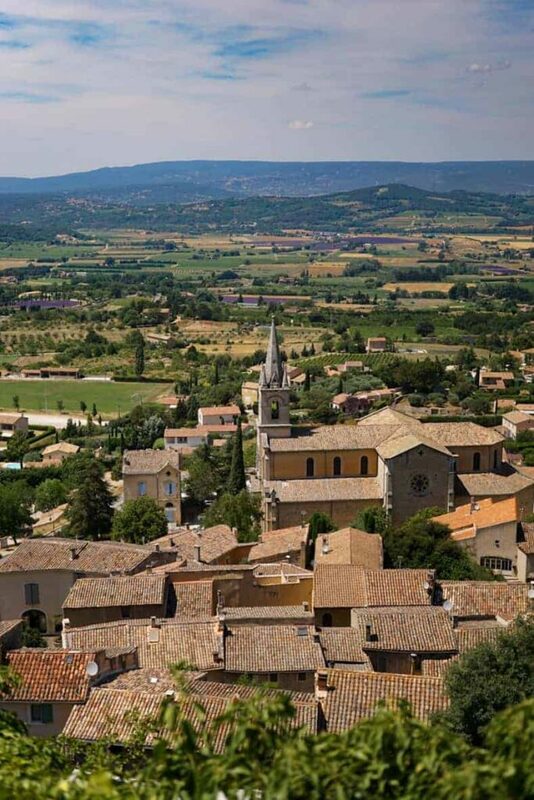 It’s a little different from the majority of the Luberon villages due to its plain, rather than perched location (plain as in level – there’s nothing plain about this village!). The narrow streets are lined with cafes where you can sit back and soak up the sunshine to a soundtrack of everyday Provençal life. With its colourful flower boxes and lovingly restored buildings, it’s a joy to wander around at leisure. The Château de Lourmarin is also unique to this part of Provence. The haphazard shape of the castle is suggestive of its tumultuous past. It was built in three stages, spanning from the 12th to the 16th century, and evidence of the different styles is still apparent today. Take a tour of the castle, have a picnic in its grounds, or attend one of the concerts or exhibitions that take place throughout the summer months. Lourmarin from across the vines. Hostellerie Le Paradou – A quirky but comfortable stay. It may not have the official title of most beautiful in France, but Bonnieux could be of the prettiest villages in Provence! From the ivy-covered façades to the way in which the houses cascade down the hillside, it’s a charming village overflowing with allure. The old town is petit, and best explored by foot. You’ll find some delicious looking treats in the boulangerie and can even experience first hand how bread is made traditionally in the bakery museum. 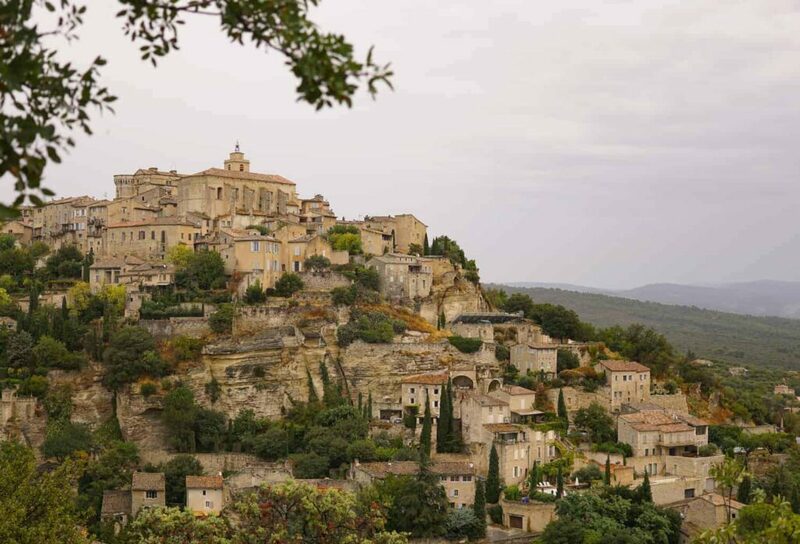 Scale the stone staircase to reach the 12th-century church that adorns the village and you’ll be rewarded with magnificent views of the Vaucluse Mountains, as well as the nearby villages of Gordes and Roussillon. Spreading out below Bonnieux is the fertile landscape that yields crops of olives, grapes and lavender. Perhaps pack a picnic and appreciate the bucolic scene from the beneath the cedars. Then to work off your indulgence head to the Forêt des Cèdres nearby, where you’ll find a range of walks for every fitness level (including a wheelchair accessible option). The village of Bonnieux with lavender fields in the distance. Le Domaine de Capelongue – For large rooms and an exquisite garden. 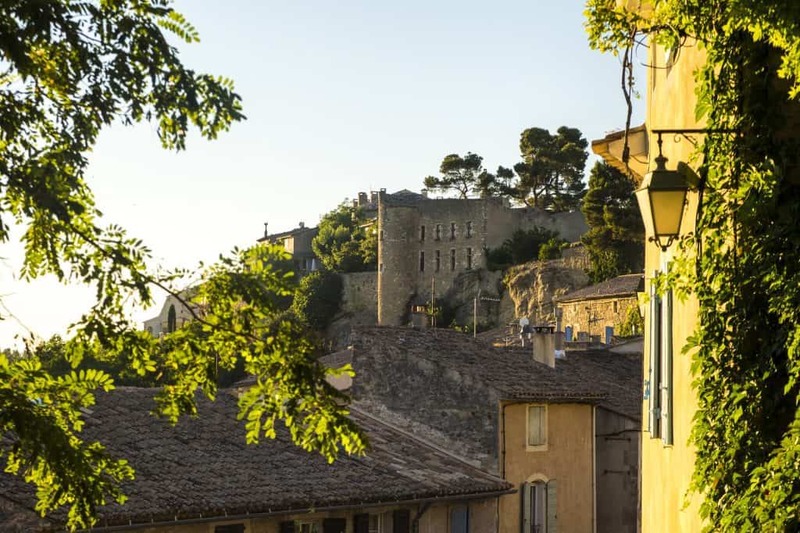 One of the most well-preserved villages of Provence, Ménerbes shines as an example of a village that is both a beautiful place to visit and to live. The medieval streets are awash with a rugged beauty that’s accentuated by the landscape that surrounds it. Nostradamus once described Ménerbes as the “navire dans l’océan des vignes” (ship in the ocean of vines) – which is an accurate description of how the village appears to float on the treetops as you approach it from the North. Ménerbes is an exquisite village that attracts holidaymakers from around the world in search of understated luxury in tune with nature. 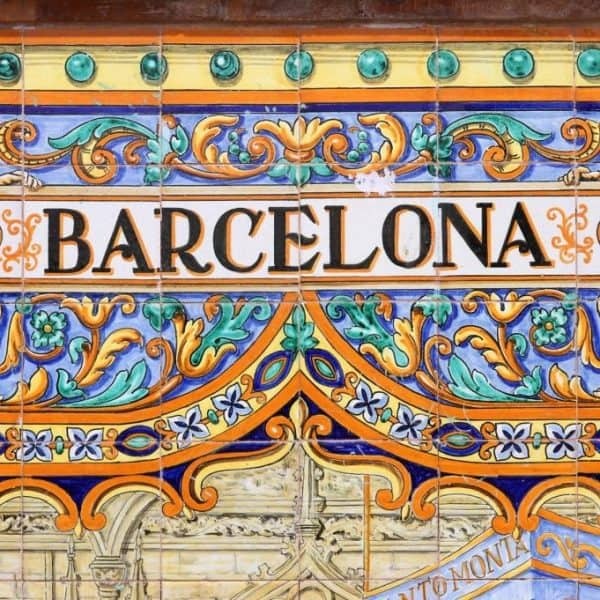 Given its location, it has an unsurprisingly strong wine culture. And in a quirky nod to this viticulture heritage, you can visit a corkscrew museum that is home to over 1,000 exhibits from around the world. The museum, which is privately owned, is located 2km from the village in the grounds of the Domaine de la Citadelle – a charming vineyard that’s open for tastings and tours. Ménerbes is another of the official Most Beautiful Villages in France. Yet another of France’s Most Beautiful Villages (there are 15 in total in Provence), Ansouis is a short drive from aforementioned Lourmarin. They share a similar geography, however, Ansouis is slightly raised, with a grand château sitting above the village houses. Criss-cross through the network of pretty streets and pause in the shaded village square before continuing up to the castle and the church, Eglise Saint-Martin. Make sure you pop inside the church – it has one of the most wonderfully unique interiors I’ve ever seen – it’s perfectly imperfect. The Ansouis castle is privately owned but is open to the public (for a fee) in the afternoons from April to October. The exterior offers fantastic views of the countryside and stunning terraced gardens to explore. Inside, the exquisitely restored château is furnished with pieces from the 16th – 18th century, alongside fine tapestries and art. A short walk from the château you’ll find the Musee Extraordinaire, a quirky, family run museum full of curiosities both created and found by the owner, a painter and diver. Alternatively, the Musee des arts et des Metiers is located just outside the village in the grounds of a vineyard and offers you the chance to find out more about winemaking in the region. The outside of Eglise Saint-Martin belies what is hidden inside. Bastide Saint Maurin – To live among the lavender. The village of Rustrel is somewhat of a hidden gem in Provence. It’s not commonly touted as one of the best villages to visit in Provence, perhaps because of its small stature, but I think it most definitely deserves your attention. Quintessentially cute, the village streets lead to the central château that today houses the Mairie (mayor’s office). Nearby, you’ll find an old oil mill where (in summer) you can learn the traditional ways of extracting olive oil. Much like Roussillon, Rustrel is located next to a former ochre quarry. 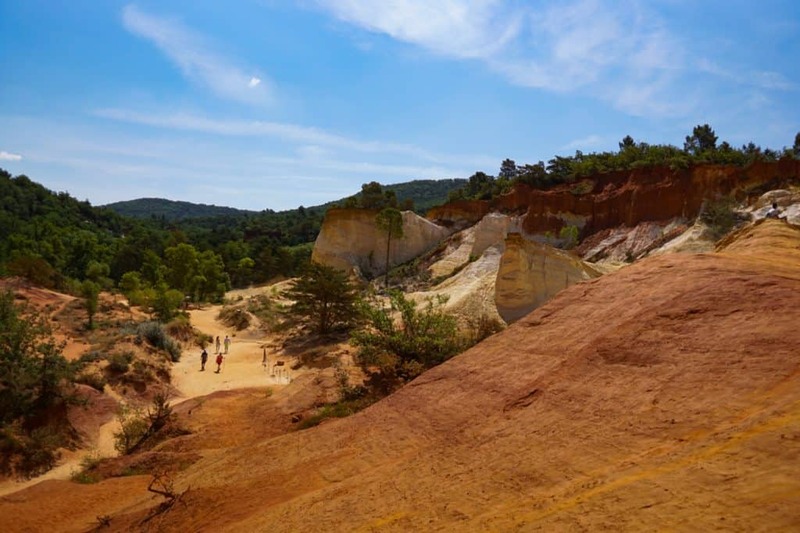 Much less developed than the ochre trail, the Colorado Provençal offers you the chance to explore the rust coloured canyons and pillars on your own time. Once you’re done, wander back to the village past the vineyards and lavender fields, taking the time to appreciate the beauty that surrounds you. Then enjoy lunch on a shaded terrace, or jump in the open air pool to cool down! La Forge – You’ll have trouble leaving this breathtaking property. Mérindol very nearly became our home when we were searching for a house in Provence. It’s one of those magical places where time seemingly stands still. In the evenings, when the deep blue South of France sky becomes baby blue and pastel pink, the swallows start dancing – putting on a show as they swoop and dive between the rooftops. It’s a small village surrounded by olive groves that are still pressed every year in the traditional way. If you’re curious, you can watch a demo at the old olive mill during the summer months. The Southern Luberon cradlesMérindol, and you can literally step out of the centre ville and onto one of the Grandes Randonnées (GR Trails) that lead into the mountainous landscape. Even if you’re not up for a big walk, it’s very much worth following the trail up to old Mérindol. 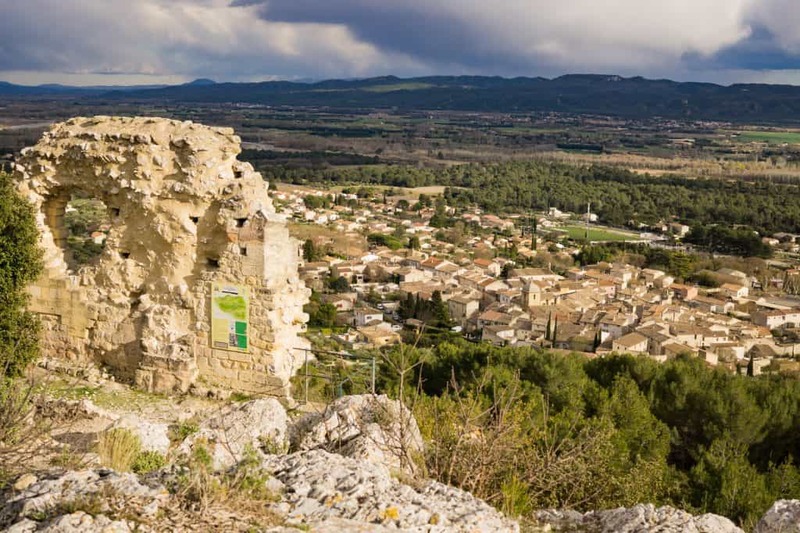 There’s not much left to see of the village that was destroyed in religious wars, but you can visit the ruins of a Protestant church, and the view over the Durance and beyond is worth the effort! Old vs New – Looking down on Mérindol from the old village. Charme de Merindol – Great value for a charming, centrally located stay. 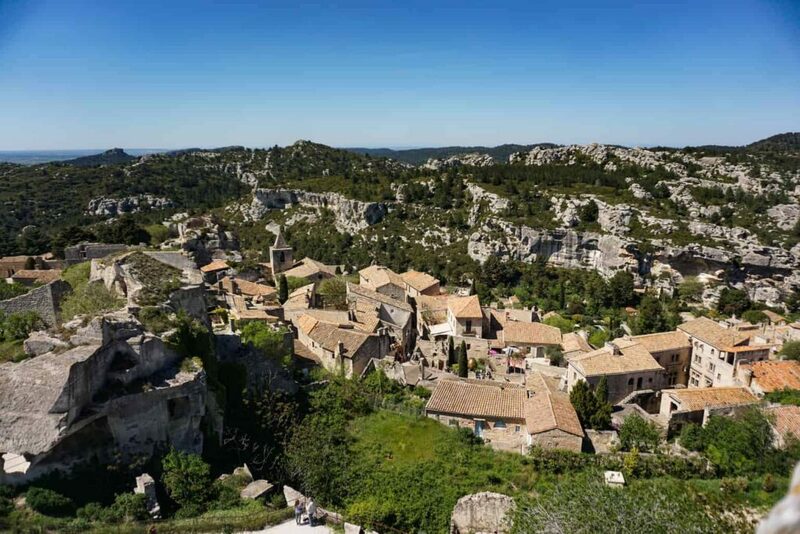 Located in the rocky landscape of the Alpilles, rising up above the olive and almond trees, Les Baux-de-Provence is instantly recognised by the impressive ruined château that overshadows it. Les Baux shares the same brand of beauty as the nearby villages of the Luberon, while still managing to be uniquely intriguing. This hilltop village in Provence is bursting with ancient treasures, including the chapels, town hall and old hospital, and the tourism office provides a mapped route so you can discover them all at your leisure. The only drawback from its reputation as one of the best villages in Provence (and with being another of the Most Beautiful Villages of France), is that it has become more of a tourist spectacle than a true representation of Provençal living. That’s not to say you shouldn’t visit – it’s still very much worth your time. The château is perhaps the most famous castle of the Provence villages, and is certainly the most impressive! 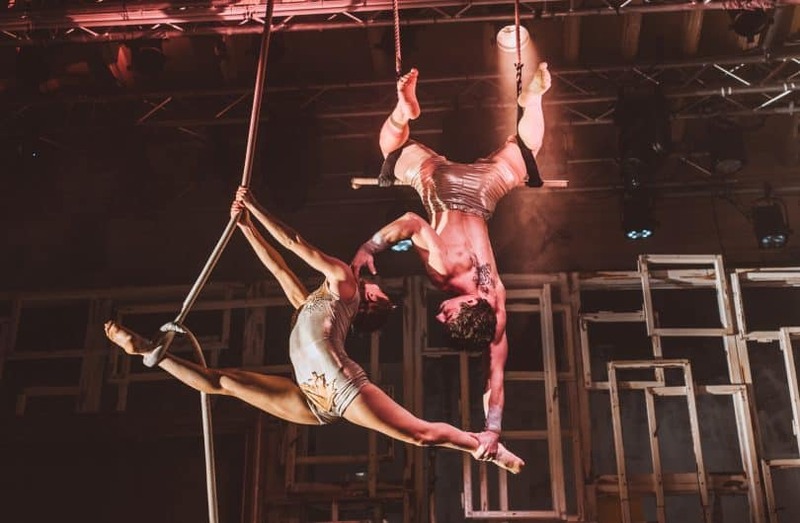 You could spend all day simply exploring the caves, climbing the exposed staircases and watching the scheduled demonstrations on offer at Château des Baux de Provence. Nearby, another unique attraction awaits at Carrières de Lumières – a multimedia show that takes place in a quarry beneath the Alpilles mountains. The village of Les Baux de Provence from the Castle. With so many villages to visit in Provence, you’re sure to find some that speak to you more than others. 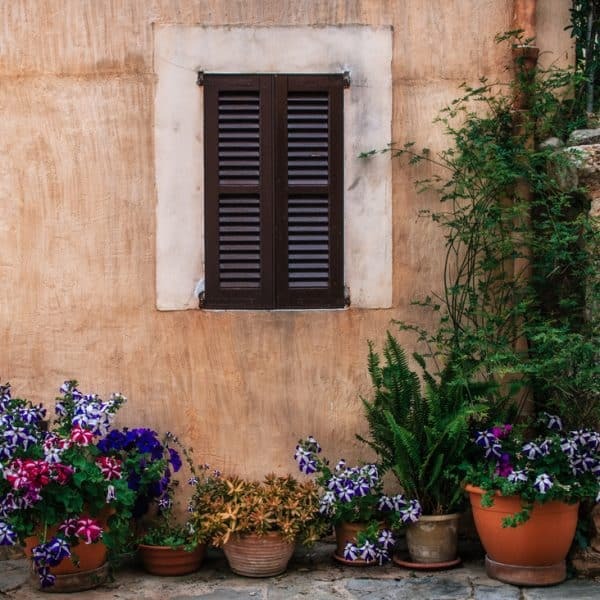 Maybe it’ll be the way the houses seemingly grow out of the rock in Goult, smelling a gentle scent of lavender as you wander around Ménerbes, or perhaps you’ll be swayed by the seaside charm of Cassis. Whatever your heart desires, you’re sure to fall in love with the villages of Provence! I love reading about your impressions of Provencal towns/villages/cities. We will be there for three nights in late July. Where might you recommend that we stay/establish as our base camp? We are a family of 5. Hi Jay! Well, good food and wine can be found throughout the region really – so it depends what else you want to see & do while you’re here. I’d most definitely put a visit to a vineyard on your itinerary though. 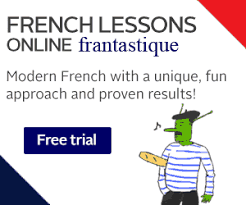 Perhaps around Châteauneuf-du-Pape? Again, depends what kind of wines you’re into. As for food – shop local and eat in those tucked away places that look more genuine than touristy and you can’t go too far wrong. I take it you´re living close to the Atlantic coast now, but maybe you can still help me with a tip or two. I´m trying to find a cabin in the mountains in Provence somewhere where I can first live for a month around Christmas, with the idea of finding a similar place to live more permanently. I don´t suppose your husband knows anyone in the area with such a place to rent or have any other ideas that might help me get started? Another lover of Banks Peninsula. Once was a warden in a youth hostel there and one of the most moving experiences of my life was attending a classical quartet concert in Akaroa and riding my bike home in the dark up the steep gravel roads in the moonlight. Hi Stefan, no we’re still settled in Provence! We lived up near the Atlantic coast when we first moved to France a few years ago.. So, to answer your question, I’m not aware of any such place as yet, but I do hear of places now and again so can keep an ear out. 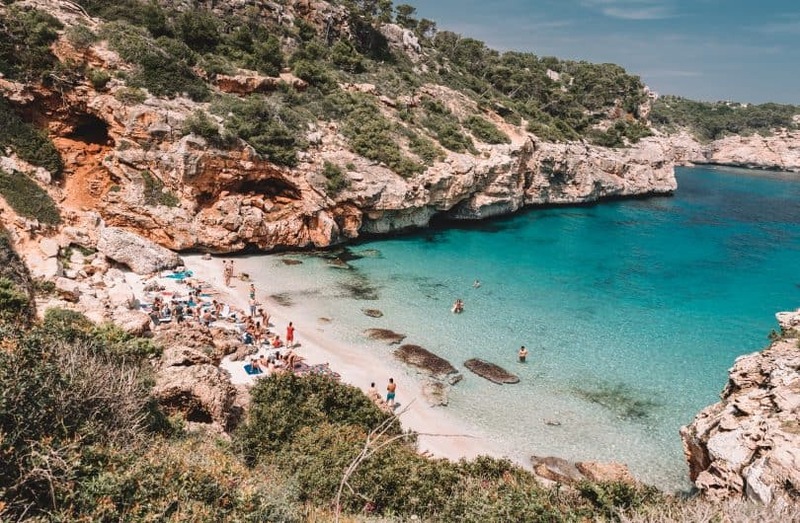 You could also check sites such as rent a place in France, or Airbnb as owners are often happy to offer a reduced rate over the winter months. Yes, Akaroa is certainly a wonderful place and that sounds like an incredible experience! Hi Nadine, my husband and I will be in Provence for 5 days in september and I was planning on making aix en provence our base and doing day trips. Do you think this is a good idea or would we be better to pick the car up in aix then travel through provence staying in villages as we go?